Gabriel Keese’s educational experience at Kellogg Community College began in his early teens, when he learned about programming and engineering robots in KCC’s Bruin Bots youth robotics program at the College’s Regional Manufacturing Technology Center. Today Keese, now 18, is a recipient of the KCC Foundation’s Gold Key Scholarship, the College’s most prestigious scholarship. The 2018 Athens High School graduate is studying political science at KCC with plans to eventually transfer to a four-year school in Michigan. Ultimately, he’d like to be a policy analyst, political consultant or legislative assistant. 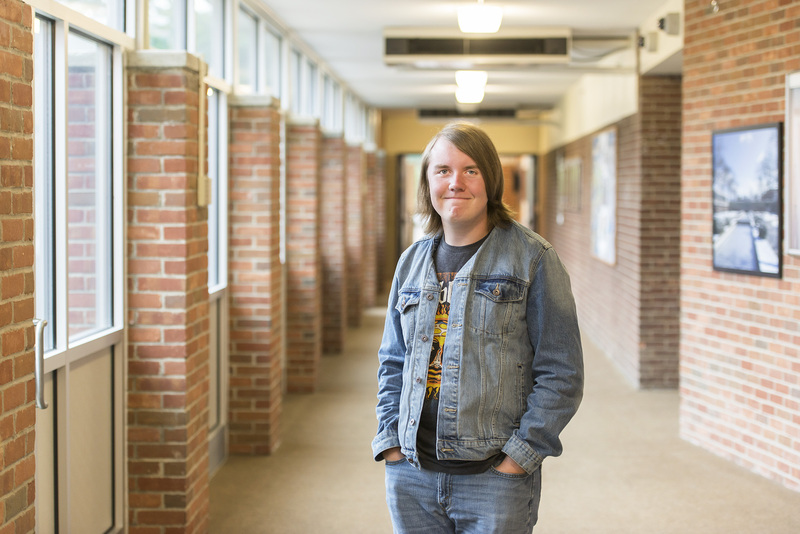 Keese said KCC is “a place he’s been wanting to go all my life.” His great-aunt is KCC Professor Emeritus Liz Neumeyer, who’s written a book about KCC’s history and who encouraged him over the years to attend the College. He began dual-enrolling his junior year of high school and completed four KCC classes before graduation. Keese said he didn’t understand a lot of the technical stuff he learned in the Bruin Bots at the time, but the program was a lot of fun, and he learned a lot beyond the academics that’s come in handy as he’d gotten older. Keese plans on completing his general studies classes here at KCC before transferring to a four-year school, possibly Central Michigan University, Michigan State University or Western Michigan University, all of which have good political science programs, he said. For now, he’s comfortable at KCC, where he can “break in the college environment a little bit more before going directly to a four-year school,” he said. For more information about studying political science at KCC, visit www.kellogg.edu/political.